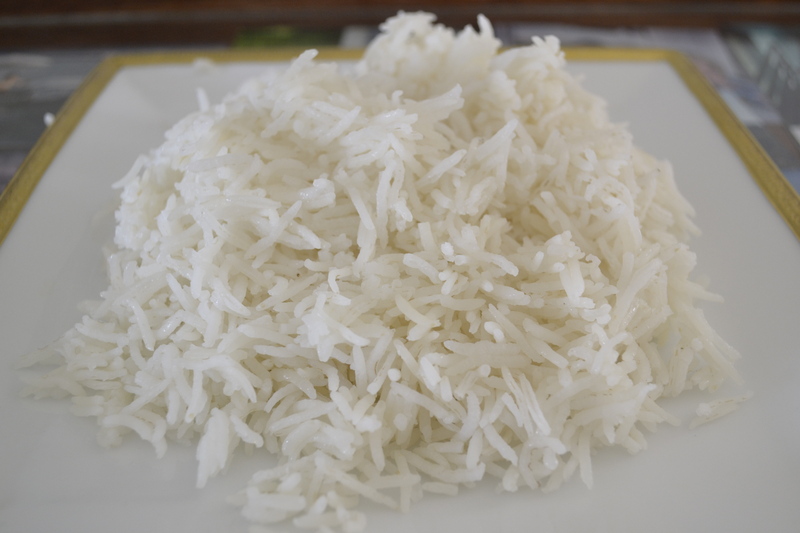 Making the perfect rice is so important because it is a staple in most Middle Eastern countries. In Syria my in-laws use a short grain rice but in Saudi the rice of choice is Basmati. Every rice is cooked differently and requires different cooking times and measurements. Here is how I make Basmati. I am not used to measuring or timing but tried to make this as accurate as possible. Place rice in a large bowl, fill with water, rinse and drain, do this a couple of times. Put pan on stove, put in water, add salt and oil. Bring to a full boil, add rice, stir. Let rice cook for about 5 minutes on a good boil, stir, turn down to medium and cover pan, let cook for 10 minutes. Turn down to low and cook another 10 minutes or until done. Turn off heat, gently stir rice so it doesn’t stick. This is my favorite rice!! I also love your recipe for samosa. I’ve never tried to make samosa, but this looks like the way to go! It’ll go on our menu for Indian night soon!